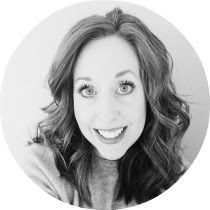 I feel like the title of this post should be "And also..." because I've got so many things to tell and catch up on! Okay, maybe not SO many things. But plenty. This week marked the start of what I call "birthday season." It begins with my mama, then Nurse Nicki, my sis-in-law, my son (going to be a teenager!) then shifts into April with a sprinkling of spring break, Easter and closes with Adrain's birthday and a few days later we celebrate Ava's birthday. Then I collapse and vow never to bake another cake ever again. Until the next celebration, anyway. 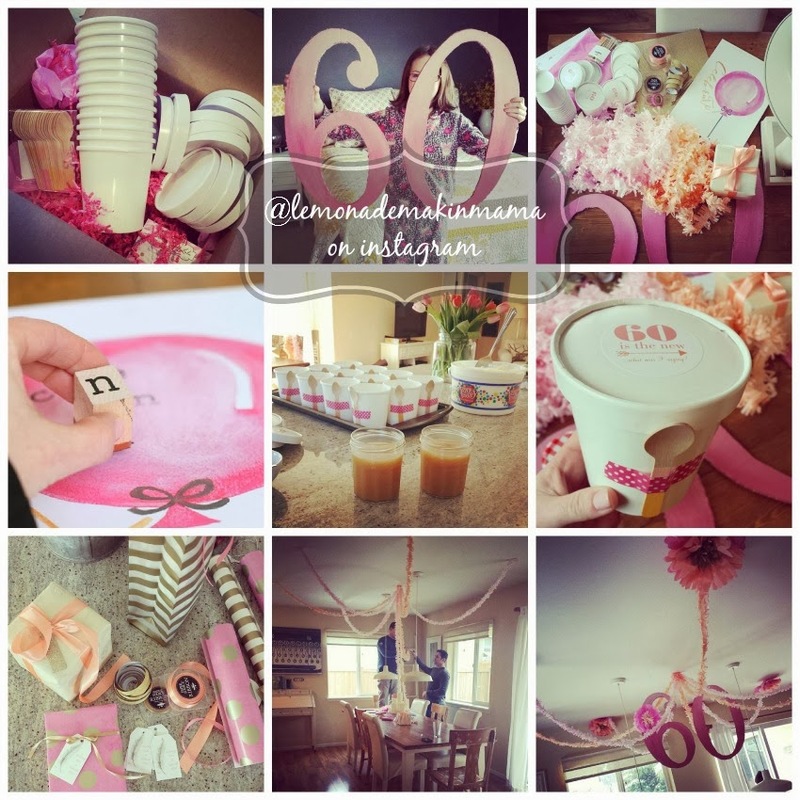 My mama was turning 60 so I planned her a party that would be pretty and girly. I went with coral-y peach, pinks and little sparkly pops of gold. I was glad it was well planned out in my mind a month ago, because last week was very tough for us. This raising kids into well-grounded adults is no picnic sometimes. I shared that I was feeling weary last Wednesday on Instagram and got a huge response of love and encouragement from you guys. Thank you for that. I'm sharing all the bits and pieces of her party today, but the truth is, I forgot to take so many photos that I wish I had. Oops. Too many balls being juggled I think. I've listed all the sources at the bottom of this post for you too. I stamped my Celebrate pink balloon print with the words "Come on in" and used the sparkly gold tape to attach it to the front door. It was so cute! And then I forgot to take a photo of it, so you'll have to imagine this taped to my front door with gold tape. *Melt butter in saucepan. Add sugars and bring to boiling, stirring constantly. Stir in whipping cream and bring back to a boil. Boil for 2 minutes, stirring constantly. Remove from heat and stir in salt. Cool completely. If you want a thicker consistency, rather than a glaze, pop it into the fridge and it will thicken slightly. Then you can dig your spoon into it. Which may or may not be a good thing. My sis in law brought some pink and peachy tissue and I added gold tissue that I had on hand, so we put together some fluffly flower decorations before the party, then bossed our husbands around, making them hang everything, just so. We made her a giant "60" out of cardboard and painted it with craft paint. We all went out for Mexican food, then came back in the driving snow for ice cream and her presents. It was a nice party and I'm pretty sure she felt well loved. And also. I wore this little number from my Instagram buddy's (@wristsoiree) shop off and on all weekend. It goes with everything. And I am madly in love with it. Wrist soiree Amelia bracelet, here. 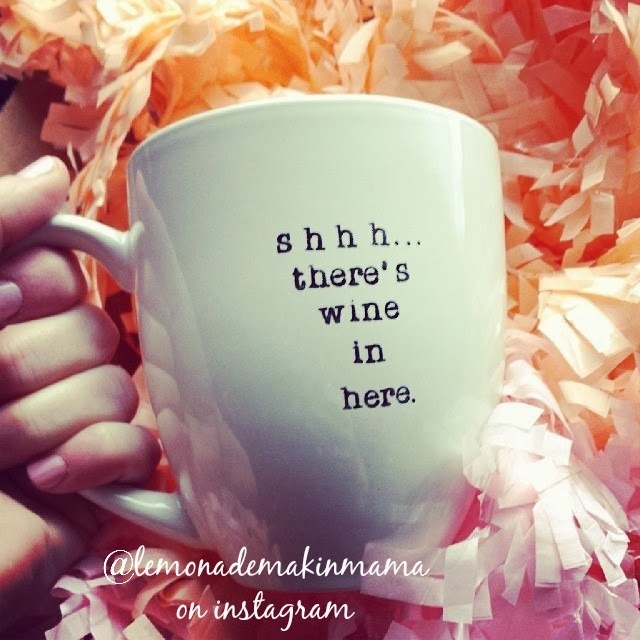 Shhh, there's wine in here mug from here. Peach and pink tissue streamers found at Caramelos, here. Wrapping paper, Target and Marshalls. Little color blocked wood spoons, icecream pints found at Shop sweet lulu, here. Washi tape and gold glitter tape, Joanns. Please send a post card saying "Wish you were here!" ;D Looks like the party was FABULOUS. You should be a party planner/decorator/craftor/creator of all things I don't want to do for parties. Oops, did I just reveal that that is not my gift? LOL You always do parties with such a touch of class! Looks so pretty love the huge flowers!! What a sweet, sweet party!! Everything looked perfect! ! Everything looks awesome! I am glad it all went well. My Moms 80th is coming so I have some good idea from you and will be spending more time peeking around your etsy shop. :-) Have a blessed day. What a lovely party to celebrate your Mom's 60th! I know she was beyond feeling very loved. Good for you! I'm over Winter too and Spring can't get here quick enough. Happy everything!!!! you're basically the best party-thrower in town. or anywhere. amazing!!! i know your mama was blessed big time. Happy Birthday to your Mom. Such a sweet party, you clever girl! Happy Birthday to everybody! They are so blessed to have you as their Party Planner, everything is gorgeous! I also want to be the proud owner of a fiddle leaf fig...i've had my eyes out for one, but so far, no luck. May yours live a long and happy life! How in the world?....where in the world?....you never cease to amaze. Momma musta been thrilled. What a sweet party your threw for your Mom! I just turned 60 also in the last couple of weeks! Your Mom is Blessed! Hey, I sent you an e-mail - just want to make sure it doesn't end up in your junk box. You could definitely have a party planning biz. You should!! What a lucky momma to have you love on her like that. You throw the kind of parties I want to put together and want to attend! All the details, the decorations, food - all of it is so thoughtful. I can only imagine how loved and cherished each parter goer and honoree feels. Happy belated Birthday to your mom! Amazing! My mom did a wonderful job, but I wish she flew you in to do my 30th last month ;) Really, just beautiful!